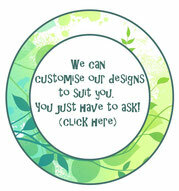 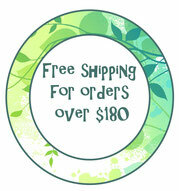 4 Wondrous Woodland - Leafy Dreams Nursery Decals, Removable Kids Wall Decals-Stickers SALE NOW ON! This wall decal is amazing. 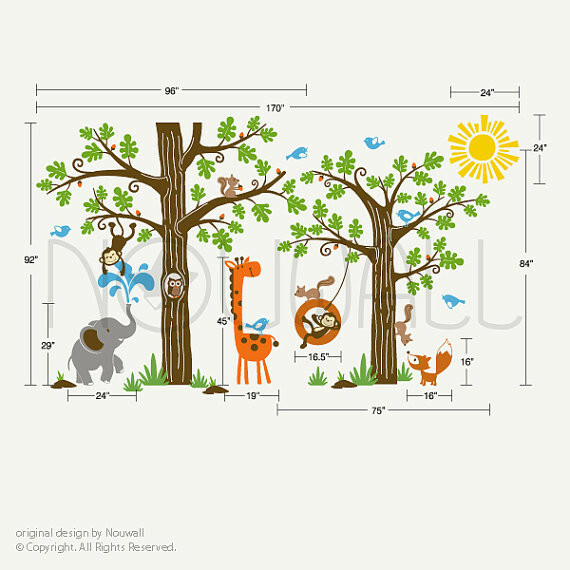 A woodland filled with all of your child’s favourite animal friends. 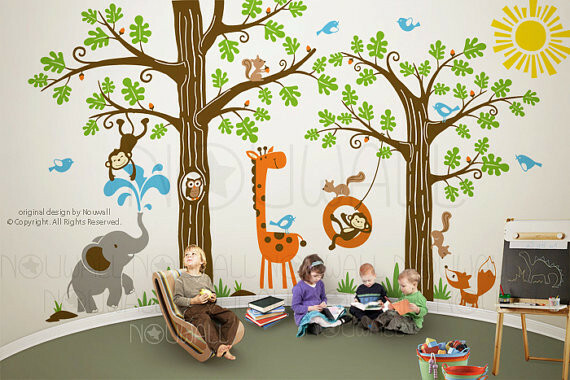 Have fun positioning all of the characters around different walls in a room to really create a forest feel or you could even spread the trees and animals over two rooms!